The National Bicycle Dealers has announced its list of America's Best Bike Shops for 2013, and Indian Valley Bikeworks/BW Cycle Studio is proud to have been included on the list. The program identifies bicycle retailers around the country who meet certain criteria. All bicycle retailers are asked to complete an application that outlines goals and development of customer loyalty, and what they are doing to make their "corner of the world" more bike friendly. Each store is visited by a mystery shopper who rates the store on appearance, web site and customer service, both in person and over the phone. We are proud to be a part of the local community and work hard to promote bicycle safety and good biking habits. It is because of you, our wonderful customers, that we are able to do the great things that we do. 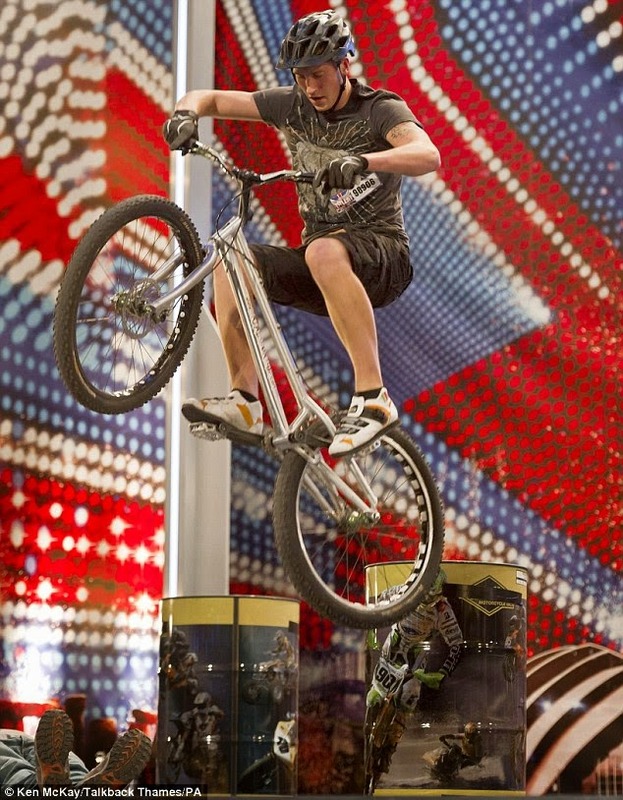 You'll see the "America's Best Bike Shops" logo around the store this year. We want you to know that it is earned, not just given to any store. Who's the Real Tour de France Winner? Jan Bakelants rides Trek's Madone 7 for a second leg win. On Stage 2 of the 2013 Tour de France, RadioShack rider Jan Bakelants earned his first stage win, and the first for Trek’s newest race bike, the Madone 7. Trek, which is taking over sole sponsorship for the powerhouse pro team in 2014, gave us an early look at the revised—and noticeably improved—aero-road bicycle. This is not a brand-new bike, but rather an update to the current iteration, which was an Editors’ Choice finalist this year. The most significant change is to the chainstays, which now feature a revised carbon lay-up and a tweaked shape. In addition, Trek's designers changed the lug that joins the bottom bracket and chainstay. According to Trek, both modifications are designed to improve ride feel and increase braking performance. Road Brand Manager Michael Mayer explained that the new shapes work better with direct-mount style brakes, which increases power, helps the rear wheel track straight, and minimizes brake rub. He added that the bike’s new carbon lay-up, designed to improve the bike’s ride feel, is the final variant of a process that saw Trek employees evaluate 300 different combinations during combined lab-, and road testing. The new frame is also about 25 grams lighter—Trek says the bike now weighs 725 grams, once coated with the company’s lightweight U5 paint. The Madone 7 is the result of a series of tweaks of the 6.9, rather than a wholesale redesign. Weight drops by 25 grams to 725 grams, with Trek’s ultralight U5 Vapor Coat paint. The decrease comes from new lay-up designs, and stiffness is maintained. The previous Madone had the best braking of any frame with a integrated or semi-integrated brake system, particularly with Shimano’s new dual-bolt Dura-Ace brakes, but Trek apparently thought it could do better. The improved ride feel comes from a bit of added vertical flex near the end of the stays, improving comfort without compromising the aforementioned brake performance. The 6-series Madones get the same chain-stay changes, but don’t lose the 25 grams. The Madone 7 will be available through Trek’s Project 1 custom program, which will include new paint schemes, colors, and signature options specifically for the new frame. The program will add new component choices and a new color for the U5 vapor coat as well. One of those signature options is the electric Leopard blue that adorned the Radio Shack bikes in the Tour de France. Yes, it is that bright in person. Give us a call or stop by to see us. We'll work through the process of building your own custom model. With the arrival of summer at 1:04 a.m. 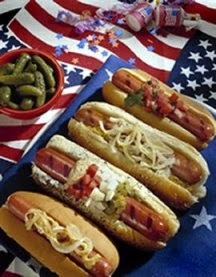 ET on June 21 also comes the beginning of one of the tastiest times of the year – hot dog eating season. The quintessential American entrée is synonymous with summertime. And whether you intend to ingest your favorite frank directly from your backyard grill, at a baseball game or from your local street corner vendor, there are certain rules you must abide by to be a true hot dog aficionado. The National Hot Dog and Sausage Council, which actually exists, stands by these very real rules of hot dog eating etiquette. First of all, you must know that it is two words – hot dog. A hotdog is someone who shows off, and that is simply poor etiquette. Secondly, condiments should be applied in the proper order: wet condiments like mustard and chili go first, followed by chunky condiments like relish, onions, sauerkraut, and cheese (shredded only) and then spices. Ketchup is unacceptable, unless you are under the age of 18. You should take no more than five bites to eat a hot dog, seven bites if it is a footlong. Any less than that and you are a glutton. Any more and you are just showing off with your delicious redhot, which we have already established is poor etiquette. And if you are wondering what wine goes best with your bunned, steaming cylinder of savory goodness, then just stop. Because beer, soda, lemonade or iced tea are the only appropriate beverage accompaniments. You can have wine with your hot dog, sure, but only if you want to show off. Tsk-tsk. But the one true rule of eating hot dogs that trumps all these is this: Forget what anybody or any national council says, because there is no wrong way to enjoy a great summertime hot dog. I hope you have a wonderful summer with lots of fun times with your family and friends! Trek's Project One Custom Bike Program - Wow! 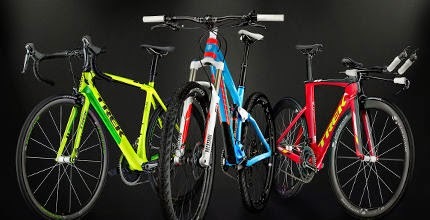 We might talk a lot about Trek bikes lately, but that's because they are coming out with so many awesome things lately. What's more, we at Bikeworks love being a part of it. Come on in and our expert team can put together the look you want, and order it when you are ready. A poorly adjusted derailleur can cause your chain to rub and gears to shift and drop unexpectedly. You can avoid these problems, especially on a steep climb or during other conditions by setting limit screws, adjusting your front derailleur and adjusting cable tension. Click here, or on the image at right for the "how to" video, or, we've included the ten step process below. 1. Set the limit screws with a Phillips head screwdriver so that the derailleur does not shift or move the chain off the chain rings. 2. Shift so that your chain is in the lowest gear, which is the smallest chain ring in the front and largest in the back. 3. Set the L-limit screw (the one closest to your frame) with a Phillips head screwdriver so the derailleur cage closest to your bike is about 2 mm away from the smallest chain ring. 4. Shift to the highest gear, with the largest chain ring in the front and smallest in the back. 5. Set the H-limit screw so that the derailleur cage plate farthest from your frame is about 2 mm away from the largest chain ring. 6. Pull, with your finger or a pair of pliers, the derailleur's cable away from the bike to eliminate slack, then tighten the cable bolt (located on the cable pinch bolt above the front derailleur) with the 5 mm Allen key. 7. Shift between your two or three (depending on derailleur) chain rings. If your chain does not easily shift or if it rubs, fine-tune the derailleur by increasing the tension with a shifter cable adjustment (see below). 8. Shift to largest sprocket in both the front and the back. 9. Turn the cable adjustment bolt (located on the cable leading to the front derailleur) counter clockwise about three turns. 10. Shift the bike through all gears, high and low. If the chain does not transfer smoothly, continue to turn the cable adjustment bolt until it does. Any questions? You can bring your ride into us and we'll adjust it for you OR take advantage of our Bicycle Limo Service: We'll pick it up, fix it up, and deliver it back to you! Just give us a call at 215-513-7550. The wrong ride could leave you in pain (or worse)—avoid these cycling slip-ups when you’re choosing a bike. Biking is booming, thanks in part to rising gas prices and more cycling-friendly cities. If you’re just getting on board with biking—or even an experienced cyclist looking for an upgrade, you know that choosing a bike can be overwhelming. Make it easy on yourself: These tips from cycling experts will help you avoid common mistakes when you’re choosing a bike so you can get the right fit for you. As an independent bicycle shop, Indian Valley Bikeworks is more than simply a place to purchase a bike: Unlike many of the superstore chains, we also offer maintenance packages and a wide variety of mechanic-assembled bicycles. We also have a wonderful well-trained staff of professionals eager to offer one-on-one assistance. We even have a terrific cycling club, which can be a great way for a beginner to meet other cyclists. Buying a bike for fashion, not function. Many people buy mountain bikes for their gnarly looks, but never take them off-road. But riding a bike in a different way than what it was designed for can damage the bike, and be uncomfortable for the rider. When choosing a bike, start by considering the type of riding you want to do: Are you planning to conquer bumpy trails and hills? Then you’ll need a mountain bike. 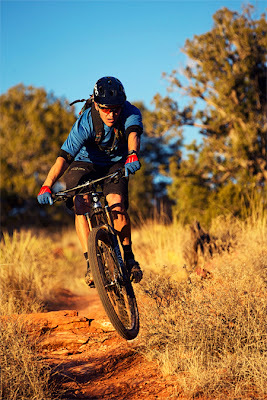 There are many options of mountain bikes depending on how aggressive of terrain you intend to ride. 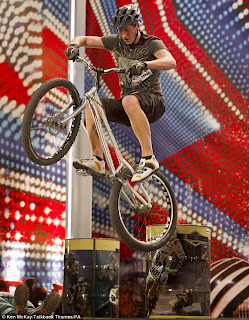 A full suspension bike has more shocks on the front and rear, giving you more control when the trail is difficult. Are you thinking about taking on a long-distance road ride or getting into road racing or triathlons? Check out skinny-tired road bikes with drop-handles that are built for speed and distance. If your desires are more leisurely—or you’re unsure—you may be in the market for a more general-purpose hybrid bike. Choosing a bike that doesn’t fit properly. We can help you with proper bike fitting. While some muscle soreness should be expected when adjusting to a new bike, numbness in the hands, shoulders or saddle area, and knee and/or back pain are signs that a bicycle does not fit correctly. Generally speaking, you want to have about an inch between the bike and your body when you stand over the top tube, and be able to comfortably reach the brake levers and shifters on the handlebars while positioned on the saddle. Not trying before you buy. Every bike fits and feels a little different, so test riding is crucial. We're happy to let you take a ride around to try it out. Once you find one you like, the necessary adjustments, like saddle height and position, can be made to perfect the fit. Choosing the right frame generally begins with testing the stand-over height, but bike geometry varies by brand and style, so the best way to find the right bike is to try out a few different models and let us help you to find the best fit. Beginning bikers sometimes don’t take the time to shop around, often settling on a bicycle out of convenience. Then, you run the risk of ending up with a bike that doesn’t fit correctly or you’re simply unhappy with. While bike buying doesn’t need to be a long and stressful process, like anything else, it pays to be patient and do your research. Before you buy, conduct a bit of online research, and ask experienced cyclists for their advice and recommendations. Cheating yourself by being cheap. While you don’t necessarily need to buy a top-of-the-line model when you’re just starting out, keep in mind that you get what you pay for. A good entry-level bicycle may run anywhere from $700 to $1,200. Remember that while a quality bike is an investment, it will run more smoothly and last far longer than a cheap one. More expensive frame materials will be lighter, more responsive, more comfortable and more efficient. There are many wonderful entry-level models available in hybrid, road and mountain bikes. And as you move up in price, your ride quality will increase. Along with the bike, you will need to purchase the necessary accessories like a helmet, spare tube and appropriate cycling apparel. Save some money for accessories as they can improve your cycling experience. A good pair of cycling shorts will make riding your bike much more enjoyable. Call Indian Valley Bikeworks at 215-513-7550 to make an appointment for a bicycle fitting today! Just launched today are two amazing new Trek models: The Fuel X29 and Remedy 29, combining Trek's industry leading suspension technologies with the handling of G2 geometry, producing the best trail 29ers on the market. Trek has been the leader in 29er production for more than a dozen years. In our opinion, they make the best big wheelers on the planet. A larger wheel holds its momentum better, so you keep rolling over rough stuff and maintain your speed through the corners. Increased wheel size also decreases the angle of attack. What does that mean to you, the rider? That makes obstacles seem smaller. 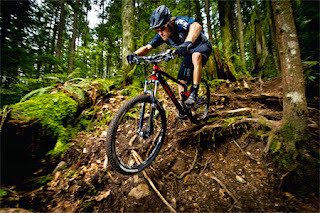 On a Trek 29er, your center of gravity is lower relative to the pivot point (the front axle). This results in a more stable feeling as you sit deeper in the cockpit. We know that you don't want to think about the frame: how light it is, or the stiffness of the rocker link. You just want the performance that a well-designed ride can give you. EVO Link is Trek's evolution of the rocker link from the plate-to-bolt style use on most suspension bikes to a one-piece rocker link. This lighter link provides a stronger connection point between the front and rear triangles, creating a stiffer frame for greater control with minimal weight. Trek's designers noticed that most suspension systems attach at the bottom of the shock to a fixed frame mount. That fixed mount can contribute to a harsh ride. They solved that with Full Floater, attaching the shock to two moving linkage points so it can better respond to bumps across a wide variety of terrain. It feels like more travel, but it's not. It's smarter travel. Hey, these rides are so new we don't even have them in stock yet (as of the date of this posting). Give us a call to pre-order yours today!